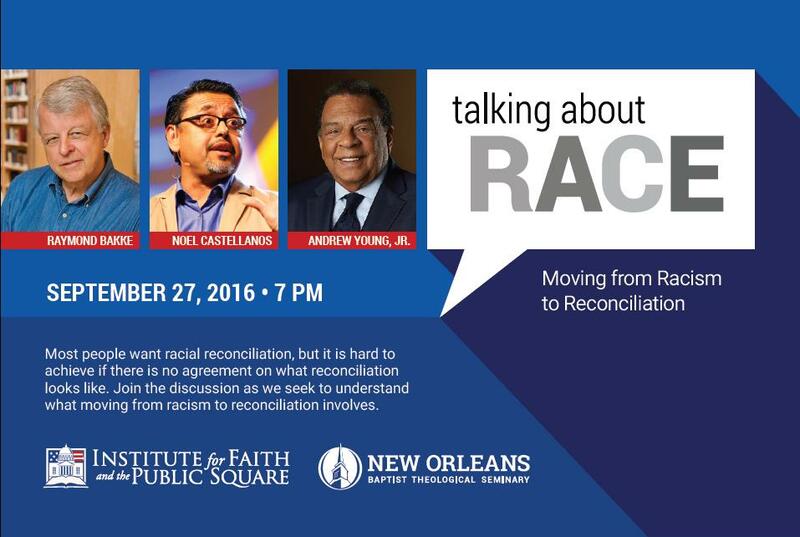 The Institute for Faith and the Public Square is hosting an upcoming conference entitled “Talking About Race: Moving from Racism to Reconciliation.” The conference is September 27. Registration is free. Featured speakers include: Andrew Young, Jr.; Noel Castellanos; and Raymond Bakke.